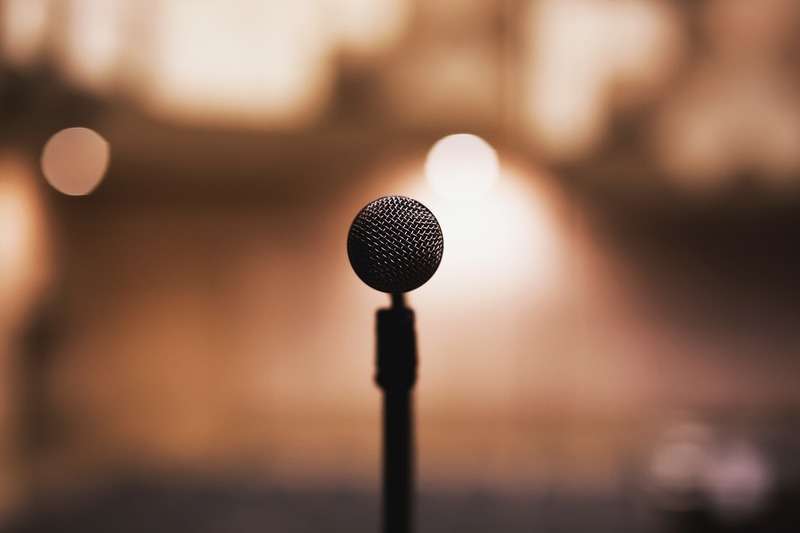 Whether you’ve been on stage your whole life or are just looking to improve your karaoke game, private voice lessons with a supportive and motivating teacher are the best way to develop your skills. Private lessons provide a one-on-one environment for students to develop excellence and a love for music with individualized content and a tailor-made pace. We are currently not enrolling voice students younger than 5th grade. Our program runs from August 20th, 2018 to May 18th, 2019, and each student has the opportunity to perform in recitals and performances throughout the school year. 30-minute lessons are only $85 per month. Register today to reserve your spot! Candice Richards holds a Bachelor of Arts in Music degree from Florida State University. She has over 10 years of professional musical experience as a music educator, performer, recording musician, and composer/arranger. Candice began her teaching career by developing a violin, piano, and voice private lesson studio in 2015. In 2016, she revived the choral music program at the Florida Agricultural and Mechanical University Developmental Research School. Candice teaches classroom music and serves as the director of K-12 choir, and currently serves as the orchestra director for the FAMU DRS orchestra summer camp. As a performing musician, Candice has been a violinist, pianist, and vocalist in many different types of ensembles including philharmonic orchestras, string ensembles, symphony ensembles and chamber orchestras. 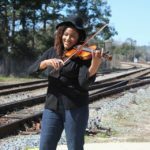 Candice specializes in performing as a soloist on the violin and piano for church services and as a solo musician for other ceremonial occasions. 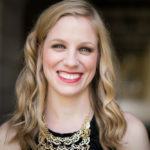 In addition to her bachelor’s degree of music, Candice is pursuing a Master’s degree in Curriculum and Instruction with an emphasis in Music Education- choral and instrumental conducting at Florida Agricultural and Mechanical University. She continuously provides private lessons for students that focus on meaningful learning and provides opportunities for applying knowledge and performance practice. Jessica Menke is a vocalist of all styles. She was born and raised in Jacksonville, Florida, in a musical family. She attended Lavilla and Douglas Anderson School of the Arts and, in the summer of 2007, while still in high school, Jessica attended the Advanced Vocal Program at Interlochen Center for the Arts in Traverse City, Michigan. She earned a bachelor’s degree in Voice Performance from the University of North Florida. Jessica made her first oratorio appearance as the soprano soloist in the Benedictus Quartet from Mozart’s Requiem with the UNF Mozart Mentor’s Orchestra. In 2011, Jessica traveled without a group to Salzburg, Austria, and attended the Mozarteum’s International Summer Academy where Barbara Bonney was giving masterclasses. In 2012, Jessica performed as Despina in Mozart’s Così fan tutte with the North Czech Philharmonic Orchestra, taking part in UNF’s Summer Opera Program in the Czech Republic. She also participated in the Harrower Summer Workshop in Atlanta, Georgia, where she sang in the chorus of Georgia State University’s Tales of Hoffmann by Offenbach and performed in opera scenes. In the autumn of 2012, Jessica studied with baritone Gerald Finley’s teacher, Gary Coward, at the English National Opera while studying at Florida State University’s London Study Centre before completing her degree at UNF. Following graduation in 2014, Jessica traveled with her teacher, Marilyn Mims, to Paris to attend the Paris International Summer Sessions École Normale. Jessica’s move to Ann Arbor, Michigan, at the end of 2014, gave her the opportunity to study voice with Metropolitan Opera singer, Stanford Olsen. While in Michigan, Jessica sang the role of The Diva (as a young artist) in Pittsfield Opera Theatre’s La Divina. She was also a guest singer at the Zal Gaz Grotto Club with both the Paul Klinger and the Paul Keller Jazz Orchestras. Additionally, Jessica has regularly performed in church. Before relocating to Tallahassee, Ms. Menke resided in Jacksonville, where she and her mother, Carolyn Menke, established a private music studio. Currently, Jessica is studying Music Education at Florida State University and plans to complete a second bachelor’s degree in the Fall of 2019.